Yeah I’m talking about PETA. As mentioned in my previous post PETA went on the attack against a dog breeder who sold a german shepherd puppy to Vice President Joe Biden and his family. They need to add domestic terrorism to this list. Sometimes groups like this can take things too far. Fifteen minutes of fame turned into four months of bitter remorse for the Chester County woman who sold the Bidens their adorable little German shepherd puppy. Linda Brown’s been investigated, scorned and had her life threatened. When the story got out, Brown faced backlash from pet lovers who thought the Bidens should have opted for a shelter over a breeder to find their new puppy. PETA seized the moment as an opportunity to blame the killing of shelter animals on people who buy from breeders. The organization’s TV commercial, “Buy One, Get One Killed” ran in Delaware after the Biden puppy story made headlines. Dog wardens from the state showed up at Brown’s Wolf Den kennel, repeatedly, for inspections. “I was cited for a piece of kibble on the floor and five strands of dog hair. They took a picture of that, they walked around, snapped pictures and don’t tell you why,” Brown told the newspaper. She was found “not guilty” for each citation, but hiring a lawyer for the court hearings has cost her $4,000 so far in legal fees. “Never, never, never again,” Brown said about selling a dog to anyone with a high profile. Her advice to breeders who’ve called about the Obama’s puppy search: Don’t do it! “It’s been horrific since December,” she said. Who in the hell are these folks to tell others what to do? They ought to be arrested for domestic terrorism. Not only is PETA harassing dog breeders, they’re now requesting that British pop group Pet Shop Boys change their name to Rescue Shelter Boys. LONDON, England (CNN) — Just because they named their new CD “Yes,” does not mean that British electro-pop duo, the Pet Shop Boys, will agree to just about anything. The duo, which has performed under its current name for more than 20 years, reproduced PETA’s written request in full on its Web site. “West End Girls” is one of the many hits the group has had in its long career. And that’s not all. PETA is also demanding that the NFL give former Atlanta Falcon quarterback Michael Vick a brain scan before they allow him back into the NFL. WTF???? Has PETA Gone Too Far in Demanding a Brain Scan on Vick? 1) He is still in federal custody (scheduled for release July 21). 2) He is still under suspension from the N.F.L. ; Roger Goodell is not commenting on his possible reinstatement. 3) The Falcons are still trying to trade this contract rights. 4) He is still disgraced, his actions impossible to defend. The only bright side for Vick may be a PETA campaign that could be overplaying its hand. PETA is demanding that Vick be barred from the league unless he has a brain scan to prove he’s not a psychopath. It has written a letter to Goodell to press its case and is urging supporters to write e-mails to Goodell. Vick’s behavior seems to fit the American Psychiatric Association profile for anti-social personality disorder (APD). People with APD are commonly referred to as “psychopaths”. They are usually male, often charming, prone to lying and manipulation, and incapable of genuine remorse. They can also take pleasure in inflicting cruelty. I blogged about Michael Vick and the dog fighting scandal back in 2007. I even stated that I didn’t blame PETA for going after him. What he did was stupid and he’s paying the price for his stupidity and his keepin it real mentality. But a brain scan? I swear the PETA folks have way too much time on their hands. I guess these folks don’t give a damn about humans. Is this country raising a generation of young divas obsessed with pedicures, manicures, laser hair removal and other types of beauty treatments? That’s the question that’s asked in this Newsweek magazine article, Generation Diva, How our obsession with beauty is changing our kids. How our obsession with beauty is changing our kids. There’s a scene in “Toddlers & Tiaras,” the TLC reality series, where 2-year-old Marleigh is perched in front of a mirror, smothering her face with blush and lipstick. She giggles as her mother attempts to hold the squealing toddler still, lathering her legs with self-tanner. “Marleigh loves to get tan,” her mom says, as the girl presses her face against the mirror. Marleigh is one of many pageant girls on the show, egged on by obsessive mothers who train their tots to strut and swagger, flip their hair and pout their lips. I watch, mesmerized by the freakishness of it all, but wonder how different Marleigh is from average girls all across America. On a recent Sunday in Brooklyn, I stumble into a spa that brands itself for the 0 to 12 set, full of tweens getting facialed and glossed, hands and feet outstretched for manis and pedis. “The girls just love it,” says Daria Einhorn, the 21-year-old spa owner, who was inspired by watching her 5-year-old niece play with toy beauty kits. Sounds extreme? Maybe. But this, my friends, is the new normal: a generation that primps and dyes and pulls and shapes, younger and with more vigor. Girls today are salon vets before they enter elementary school. Forget having mom trim your bangs, fourth graders are in the market for lush $50 haircuts; by the time they hit high school, $150 highlights are standard. Five-year-olds have spa days and pedicure parties. And instead of shaving their legs the old-fashioned way—with a 99-cent drugstore razor—teens get laser hair removal, the most common cosmetic procedure of that age group. If these trends continue, by the time your tween hits the Botox years, she’ll have spent thousands on the beauty treatments once reserved for the “Beverly Hills, 90210” set, not junior highs in Madison, Wis.
Much has been made of the oversexualization of today’s tweens. But what hasn’t been discussed is what we might call their “diva-ization”—before they even hit the tween years. Consider this: according to a NEWSWEEK examination of the most common beauty trends, by the time your 10-year-old is 50, she’ll have spent nearly $300,000 on just her hair and face. It’s not that women haven’t always been slaves to their appearance; as Yeats wrote, “To be born woman is to know … that we must labour to be beautiful.” But today’s girls are getting caught up in the beauty maintenance game at ages when they should be learning how to read—and long before their beauty needs enhancing. Twenty years ago, a second grader might have played clumsily with her mother’s lipstick, but she probably didn’t insist on carrying her own lip gloss to school. Damn things are different today compared to when I was 9 years old. I don’t remember anyone at that age getting pedicures, manicures and laser hair removal. We were nine year olds enjoying our nine year old lives. We didn’t get into the nail polish, cosmetics and other girly stuff until a few years later. Today things are totally different. Today’s young girls are turning into little women. It makes you wonder if these young girls will be using botox by the time they’re sixteen. New statistics from the American Society for Aesthetic Plastic Surgery show that cosmetic- surgery procedures performed on those 18 and younger have nearly doubled over the past decade. Dr. Alan Gold, the society’s president, says that nearly 14 percent of Botox injections are given in the 19 to 34 age group—and while his trade group doesn’t break down those ages any more specifically, he’s seen a significant increase in the younger end of that group, seeking treatments as preventative. Last night HBO premiered the documentary The Black List: Volume I. Film critic Elvis Mitchell interviews a wide range of black folks from Serena Williams and Vernon Jordan to Suzan-Lori Parks and Slash from Guns & Roses (yes he’s biracial: black mom and white dad). Slash, the former lead guitarist of Guns N’ Roses, is talking. The son of a black mother and a white father, he is the first among the 23 renowned people who muse, confess and tell stories in “The Black List: Volume 1,” a 90-minute documentary scheduled to have its television premiere on HBO on Monday night. A collaboration between the portrait photographer Timothy Greenfield-Sanders, who directed it, and the film critic Elvis Mitchell, who did the interviews, it consists of a series of portraits capturing the range of what is often called the black experience. The subjects include Sean Combs, Lou Gossett Jr., Vernon Jordan, Toni Morrison, Bill T. Jones, Serena Williams, Chris Rock, the Rev. Al Sharpton, Colin L. Powell, Kareem Abdul-Jabbar, Suzan-Lori Parks and Keenen Ivory Wayans. When you hear people talk about how they wish we could go back to the good ole days, this article pretty much talks about some of the life they wish we could go back to. I couldn’t believe what I was reading. The credit crunch, a knife crime epidemic – no wonder so many of us are sick of the 21st century. Most of us just grumble, but some women have taken radical action to escape what they see as the soulless grind of modern life. Meet the ‘Time Warp Wives’, who believe that life, especially marriage, was far more straightforward in the Thirties, Forties and Fifties. I love nothing better than fastening my pinny round my waist and baking a cake for Kevin in my 1950s kitchen. I put on some lovely Frank Sinatra music and am completely lost in my own little fantasy world. In our marriage, I am very much a lady and Kevin is the breadwinner and my protector. Neither of us drinks and our social life revolves around visiting like-minded friends for tea and cakes. I try not to interact with the modern world too much at all. Shopping in supermarkets is an ordeal, and I only recently realised that Tony Blair is no longer Prime Minister as I don’t read newspapers – they are just too distressing. I know folks have the right to live the life they want. But what will these women do if their husbands get bored with them, leave them or die? And not keeping up with what’s going on in the world? I know today’s news can get depressing but I still wanna know what’s going on in the world. While some folks think that life was much simpler back in the 30’s, 40’s and 50’s it wasn’t easy for all. Especially if you were a person of color. And who’s to say all women were happy back in the day. Oh well, to each his/her own. The Wall Street Journal has an interesting article, The End of White Flight, about whites moving back to big cities across the country. Decades ago you had white flight where whites were fleeing cities across the country to get away from a growing black population. Now it looks like the children/grandchildren of those whites have decided that living in the city isn’t so bad. But for some blacks this isn’t a good thing in their eyes, especially for those priced out of the housing market. I have seen this going on in the Washington, D.C. area. Unfortunately certain parts of Prince Georges County, Maryland has inherited some of the riff raff from D.C. I know some long time Prince Georges County residents who consider a certain part of Prince Georges County inside the Beltway Ward 9. Decades of white flight transformed America’s cities. That era is drawing to a close. In Washington, a historically black church is trying to attract white members to survive. Atlanta’s next mayoral race is expected to feature the first competitive white candidate since the 1980s. San Francisco has lost so many African-Americans that Mayor Gavin Newsom created an “African-American Out-Migration Task Force and Advisory Committee” to help retain black residents. Cities such as San Francisco, Boston and Seattle have seen an increase in white residents while cities such as Washington, D.C., Boston, San Francisco and Atlanta are losing black residents. The changing racial mix is stirring up quarrels over class and culture. Beloved institutions in traditionally black communities — minority-owned restaurants, book stores — are losing the customers who supported them for decades. As neighborhoods grow more multicultural, conflicts over home prices, taxes and education are opening a new chapter in American race relations. Part of the demographic shift is simple math: So many whites had abandoned cities over the past half-century, there weren’t as many left to lose. Whites make up 66% of the general U.S. population, but only about 40% of large cities. Sooner or later, the pendulum was bound to swing back, and that appears to be starting. I saw a very interesting article in the Prince Georges Gazette last week. The article, Put away the cell phone, show some manners, talks about cell phone etiquette. I have a love-hate relationship with cell phones. Sometimes I wonder how I ever got along without one. Because my mother has heart disease, my son is living in another state and my husband travels a great deal, I feel comforted knowing that they can reach me almost any time. But it doesn’t happen. You don’t want to flush in case the person on the other end of the phone does not realize that the person he or she is talking to is in the bathroom. So you wait a few minutes hoping that a modicum of intelligence will kick in and the recipient of the call will hang up. After a few uncomfortable minutes of listening to someone’s personal conversation, you flush, wash your hands and leave. I always wonder how one explains the sound of a flushing toilet. However, this was not the case. The cashier said good evening and the customer kept on talking on his cell phone. As the cashier tried to count out his change the customer continued talking on the phone. The cashier said have a good evening and received no acknowledgement that she was even heard. This article deserves a round of applause. Folks holding a cell phone conversation in the bathroom while doing their business? I haven’t experienced that but I have seen some folks running their mouths on their cell phones while the cashier is ringing up their items in the grocery store. Talk about rude. While the cashier is speaking to the customer, the customer continues their conversation on the phone. According to Women’s Wear Daily, Conde Nast which publishes the magazine will be printing an additional 10,000 copies to meet demand. While tech heads on Friday lined up at the Apple store to buy the latest iPhone, fashionistas evidently hurried to newsstands across New York City to get their hands on the July Italian Vogue featuring all black models. By 10 a.m., Universal News on 58th Street and Eighth Avenue, near the Hearst Tower, had already sold 50 copies, with 50 more left in stock. Hudson News in Grand Central Station sold 20 copies by 11 a.m., with another 30 left to sell. By noon, Universal News on 56th Street and Lexington Avenue had sold its last issue, and the one on 14th Street near Sixth Avenue had sold over 100 copies, with a few more left to move. 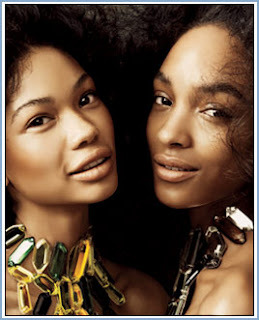 Condé Nast prepped accordingly for the increased consumer curiosity surrounding the themed issue, where Steven Meisel shot the likes of Naomi Campbell, Alek Wek, Jourdan Dunn, Liya Kebede, Veronica Webb and upcoming names like Sessilee Lopez and Toccara Jones. A spokeswoman for Condé said the company increased newsstand distribution of the special issue by 40 percent in the U.S., and will reallocate Italian copies earmarked for returns to the U.S. The company will also print another 10,000 copies to meet the demand for the issue. “Franca Sozzani is a brilliant editor whose courage and originality never cease to astonish. Working in collaboration with Steven Meisel she has produced a groundbreaking issue, which in a small way, changes the world. I am very proud of it,” said Jonathan Newhouse, chairman of Condé Nast International. Ironically, Vogue Italia wasn’t available at the two places most likely to carry the issue — the Hudson News at Condé Nast’s headquarters at 4 Times Square and the newsstand at Condé’s satellite offices at 750 Third Avenue did not carry the issue on Friday. Store clerks at both locations expected to have copies by Monday. The cashier had an extra copy behind the counter so we did get a chance to look at the magazine. It’s not real thick like the September issue of American Vogue but it’s a nice size magazine. And it’s not cheap. The magazine cost $15.95. Do white folks really know black folks? I read an interesting article earlier today in the Chicago Tribune titled When outsiders look in on black America. This article is on the mark. And a white guy wrote it, lol. I can’t help but roll my eyes when I hear or read comments from white folks that they know any and everything about black folks. To be honest most don’t have a clue. Especially when they go off the deep end by calling the Obamas fist bump a terrorist fist jab. That’s right, I’m talking about you Faux News, aka Fox News. Mike Terry is black, and he knows that a black man giving someone a fist bump is not news. He also knows that calling a man’s wife his “baby mama” is derogatory, and that no self-respecting black person he has ever met would use the term “whitey,” even if they wanted to insult a white person. 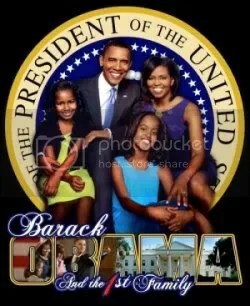 That’s why he rolls his eyes at the news media’s recent coverage of Barack and Michelle Obama. He calls it “typical,” emblematic of the gap in understanding between black and non-black America. Though Obama has tried to make his skin color an ancillary element of the campaign, the issue of race continually swings front and center, with the predominantly white news media taking on the often-awkward role of interpreting black culture for the masses. Even to some non-black voters, this all seemed like overkill, revealing a distinct disconnect between the media and the black community, where a fist bump is as common a gesture as a high-five. That last sentence says it all. When mainstream media is run by and dominated on air by mostly white males, there will continue to be a media run by folks who make a mountain out of a molehill and don’t have a clue about folks who don’t look like them. There’s a new weekly magazine available in various newspapers across the country called RiseUp. 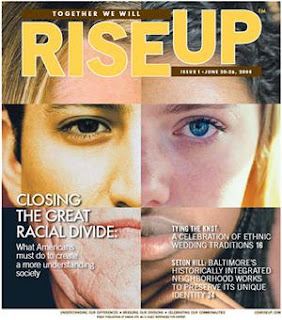 RiseUP, which publishes weekly and available online, addresses important issues relating to race relations in the United States. The magazine made it’s debut last week. I saw the first issue in last Sunday’s Washington Post. New magazine RiseUp to cover racial and ethnic issues in America. NEWSWEEK: What motivated you to want to create a magazine that focuses on race and ethnicity? Janice Ellis: I was born on a small farm in Magnolia, Miss., where racial tensions were high. On my life’s journey and through watching my parents live their lives, I knew that I didn’t want to ever use race or gender as a crutch. Throughout my life I’ve always had a rainbow of racial and ethnically diverse friends but in 2007, I realized it was time to begin discussing some important issues. What struck me most was the Jena Six case and how high-school children were using some of the most hateful symbols in our history in this day and age to hurt one another. That proves that there is a real educational gap around race and what we hold in common. What is the overall goal of this magazine? To celebrate race and ethnicity and help us better understand our differences, celebrate our commonalities and build a great foundation to bridge the gaps that divide us. What are the projected demographics for RiseUp? Generally we say our demographics are 18-70 years old, at least high-school educated and clearly all races. We will launch with almost 4.5-million circulation across the country in publications such as the New York Daily News, Washington Post, Chicago Sun-Times, Chicago Tribune, Los Angeles Times, Cincinnati Enquirer, Louisville Courier-Journal, Kansas City Star, St. Louis Post-Dispatch, Atlanta Sunday Paper and my hometown newspaper, the McComb (Miss.) Enterprise-Journal. You can read the entire interview with RiseUp publisher and executive editor Janice Ellis here and you can check out the RiseUp website here. Is the sky blue? American Vogue won’t be featuring an all black model issue in my lifetime, lol, but they do have an article about the lack of diversity in the fashion industry. Read the article here and you can read the entire article in the July 2008 issue of Vogue. Actress Nicole Kidman appears on the cover. She graces the cover of American Vogue at least once a year.